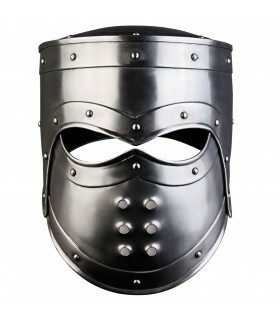 Helms There are 27 products. 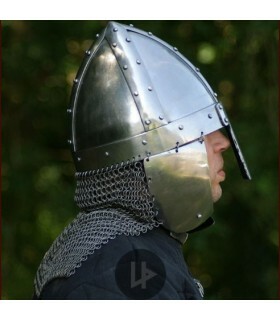 Medieval helmets Spangenhelm combat with metal strips used in the High Middle Ages. European medieval town of the thirteenth century. 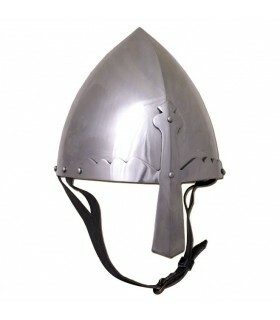 It includes leather lining. 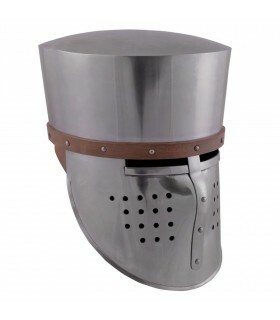 Suitable up perimeters head 61 cms. 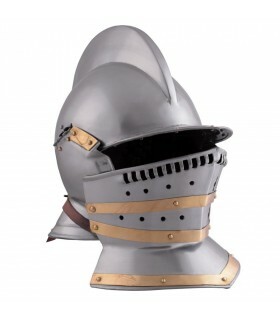 Casco Burgonet the sixteenth century with the typical crest and ruff visor that can move. 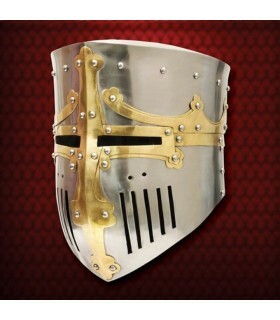 Widely used by both infantry and cavalry of the time. 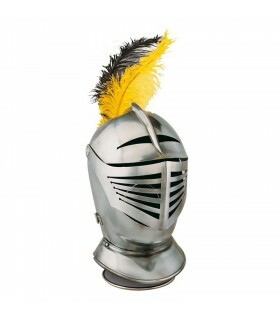 It is decorated with bronze trim. Our Coppergate medieval helmet is a replica of the original helmet found near York, England in 1983. 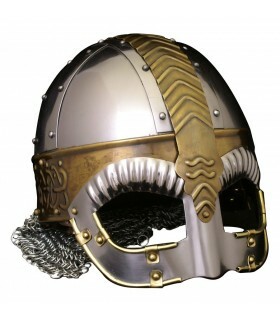 It is a helmet dating from the 8th century. 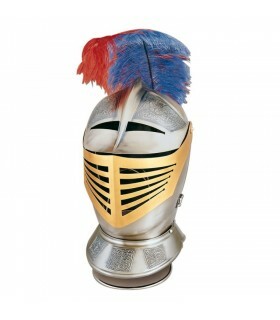 This helmet comes decorated with engravings and brass pieces. 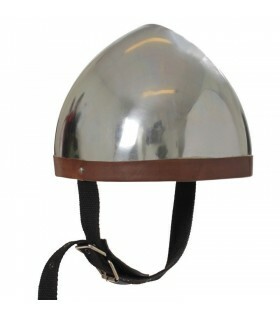 The helmet includes barbaric leather and has an inner circumference of 62 cms. approx. 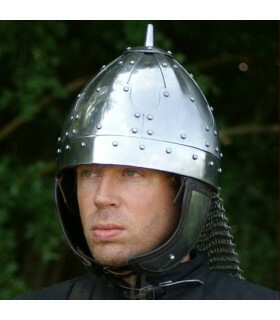 Medieval German helm of the fifteenth century better known as 'mouth of a frog'. 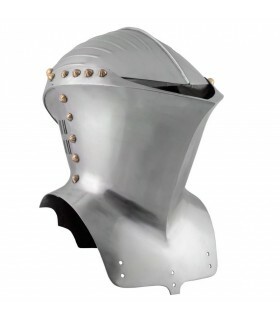 Manufactured in 1.6 mm steel. thick. 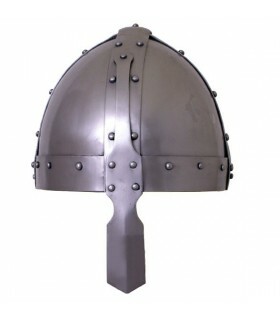 One size (maximum head perimeter, 63 cm). 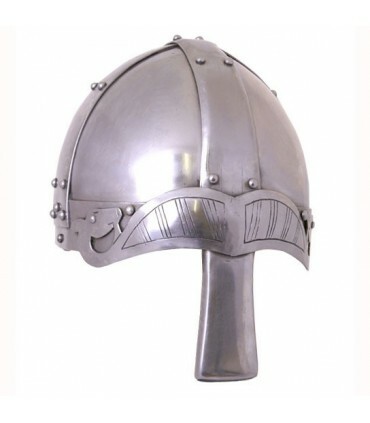 Cross functional helmet from the late 12th century AD. 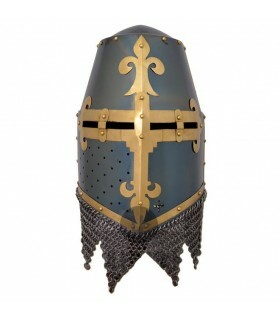 Handmade in 2 mm steel. thick. It comes riveted. 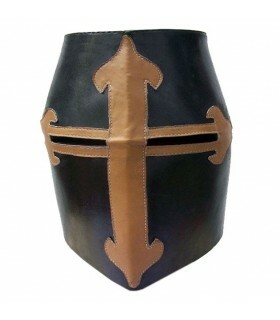 Includes padded lining and leather strap with brass buckle. 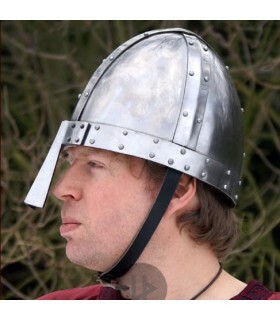 Cross functional helmet by Rieter Von Kornburg, Nuremberg, year 1375. 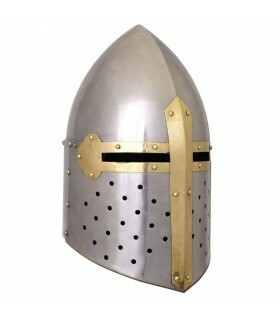 Handmade in 1.6 mm steel. thick. 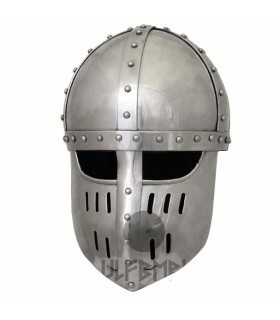 All steel parts come riveted. 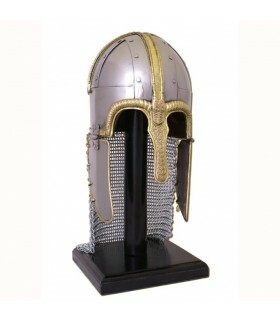 Includes chain mail attached to the helmet and padded lining as well as leather strap and brass buckle. 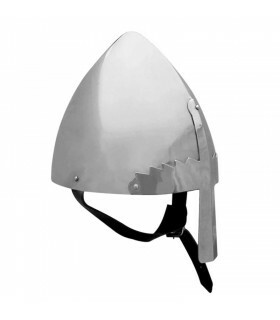 Crossed functional helmet. 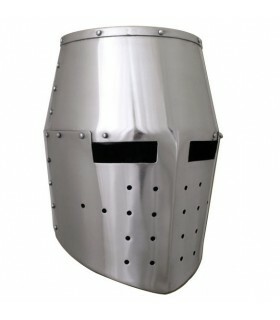 Handmade in 2 mm steel. thick. It comes riveted. 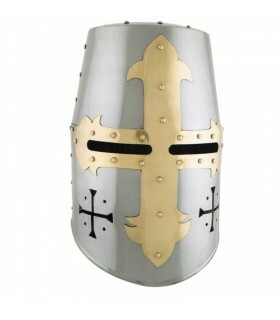 Includes padded lining as well as leather strap and brass buckle. 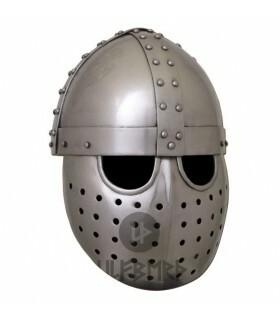 Cross helmet helmeted type with front. 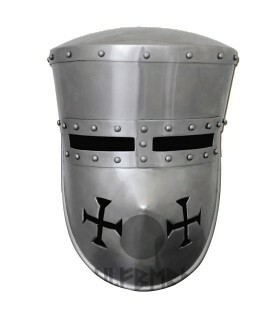 Year 1180. 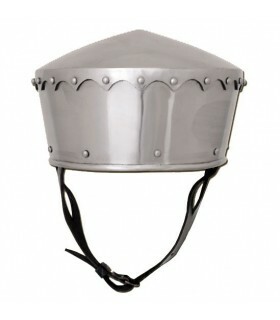 Includes padded lining as well as leather strap and metal buckle.